Who remembers getting SO stinkin’ excited for Christmas day when they were a child? Christmas was and still is, my absolutely favourite time of year. As soon as December rolls around, I can feel the holiday spirit pushing its way into my being. Give me alllllll the Christmas music, lights and festivities! December is here now and I have a fun Countdown to Christmas free printable to help you get into the spirit of the season and more importantly, make some memories. 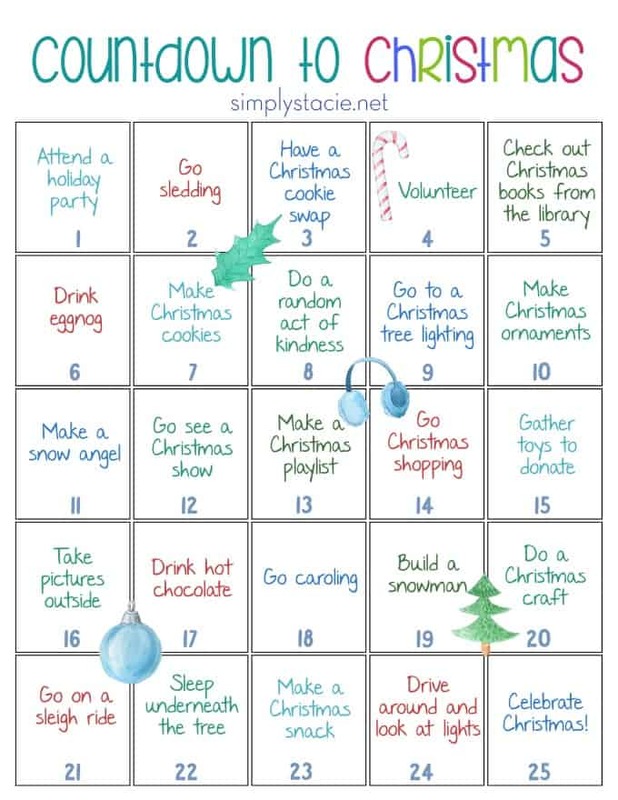 Fill out the form below to get this free Countdown to Christmas delivered right to your inbox. I hope you have a wonderful holiday season!